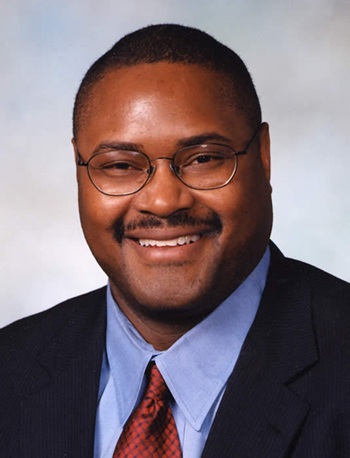 Eric Pettigrew is the current Washington State Representative for the 37th Legislative District representing Southeast Seattle, Washington and its suburbs. Representative Pettigrew grew up in South Central Los Angeles. After graduating from Nogales High School in the City of Industry, California, he enrolled in Oregon State University on a football scholarship and graduated from that institution in 1985. Pettigrew then relocated to Seattle, where he earned a Master of Social Work degree from the University of Washington in 1987. Pettigrew has worked in a variety of jobs in local government and the private and nonprofit sectors. He served as Deputy Chief of Staff for Public Safety to former Seattle Mayor Norm Rice. He also worked as a recruiter to increase diversity in the UW School of Social Work. Likewise, he was the former director of the Minority Youth Health Project, which works to reduce teen pregnancy and sexually transmitted disease rates in Seattle. Most recently, Pettigrew also developed the SAFECO Jackson Street Center, an economic development corporation that provides job training for residents of Seattle’s Central District. Representative Pettigrew was elected as State Representative for the 37th Legislative District in 2002. In the legislature, Representative Pettigrew serves as the Vice-Chair of the Community, Economic Development and Trade Committee, and on the Appropriations and Early Learning and Children’s Services Committees. He has sponsored bills on affordable housing, racial disparity in child welfare – creating a legislative committee on sickle cell disease, and an individual and family services program for people with developmental disabilities. He also authored legislation creating the Washington voluntary retirement accounts program and established Juneteenth (June 19) as a day of remembrance in Washington state for the date former slaves learned of their freedom. Representative Eric Pettigrew has also been heavily involved in community service for many years. He has served as a past President of the Rainier Valley Chamber of Commerce. He has also served on the board of the Rainier Vista Boys and Girls Club and the ACT Theatre. Additionally, Pettigrew has been a member of the Children of Color Organizers and Advocates, as well a little league baseball and basketball coach. His awards include the Ike Ikeda Public Service Award and the 2007 Urban League Spirit Award for his community service. Representative Pettigrew lives with his wife, Jada, their son Justin and daughter Linda in the Mt. Baker neighborhood in Seattle.